When The Smashing Pumpkins' new album, Oceania, is released this year, it will be a "full online experience," says the band's frontman Billy Corgan. The artist recently indicated via Twitter that the band was close to signing a record deal, one which would serve as a home for Oceania and future endeavors. Corgan told Mashable that he was looking to "turn the 'social' into a new way to experience an album. By taking the medium one step further, we will create an experience with Oceania online and off-line that transcends the single and the single mentality in all ways." Corgan will participate in a session at South By Southwest on Monday, 12 March to detail his vision of Oceania. He is also expected to announce the release date. According to Corgan, The Smashing Pumpkins will "[bring] back the album experience through fan engagement in a whole new way with Oceania." 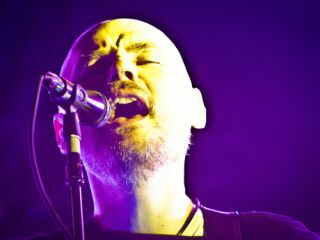 He stated that the band is "working closely with Superfans as gatekeepers to help interaction on a fan-to fan level by promoting their Smashing Pumpkins related blogs and enlisting their help in maintaining a few official Smashing Pumpkins social media sites."